Apparently, it's been a week of recipes for me! I'm always looking for something simple and pre-made for my lunches. The easier it is to throw together the better. So I don't mind a little pre-work involved to have a go-to meal waiting for me in the fridge. Lately, I've been all about cold pasta salads. I wanted to change up what I had been eating and opted to try out a new recipe all together. My favorite thing about cold pasta salads is that you can tweak the recipe to get the exact taste you want, even after it's completely made. 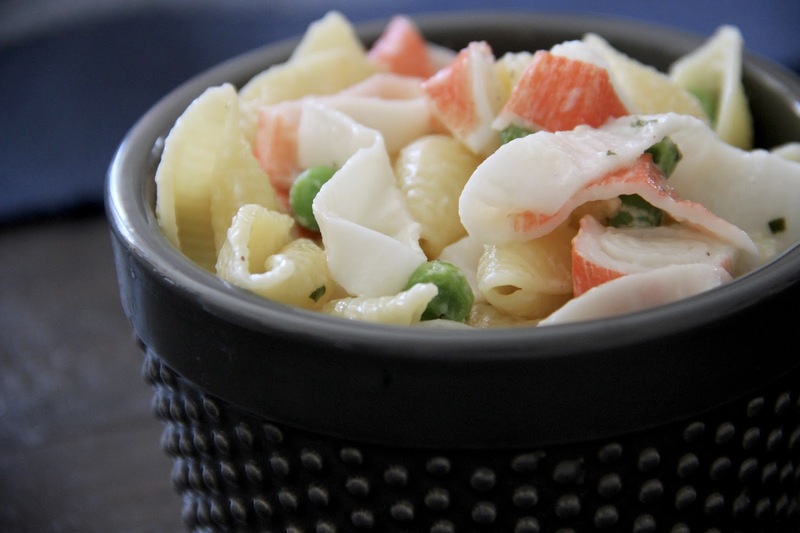 That goes for this Cold Crab Ranch Pasta Salad too. If my recipe doesn't give you enough of the ranch taste you love, sprinkle some more seasoning in! Make this dish your own! Cook the pasta according to the box directions. Once cooked, drain it, and set it aside to cool. 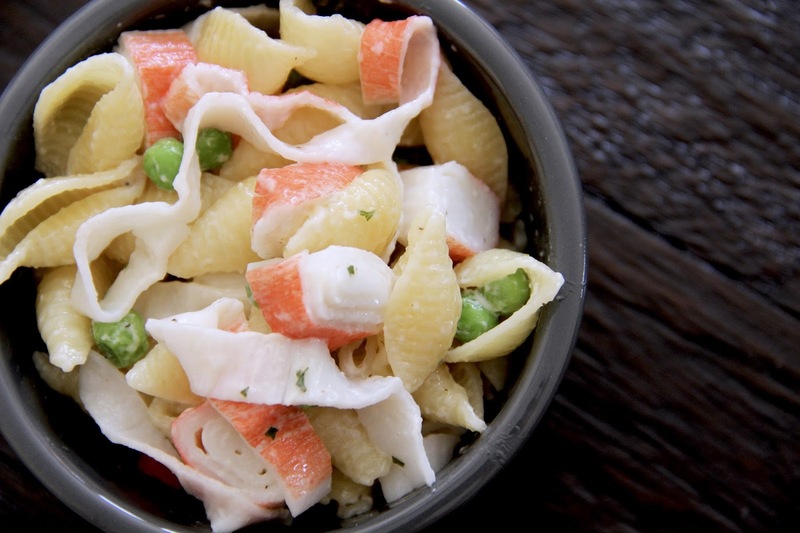 While the pasta is cooling, cook the peas and cut up the crab sticks into bite-size pieces. 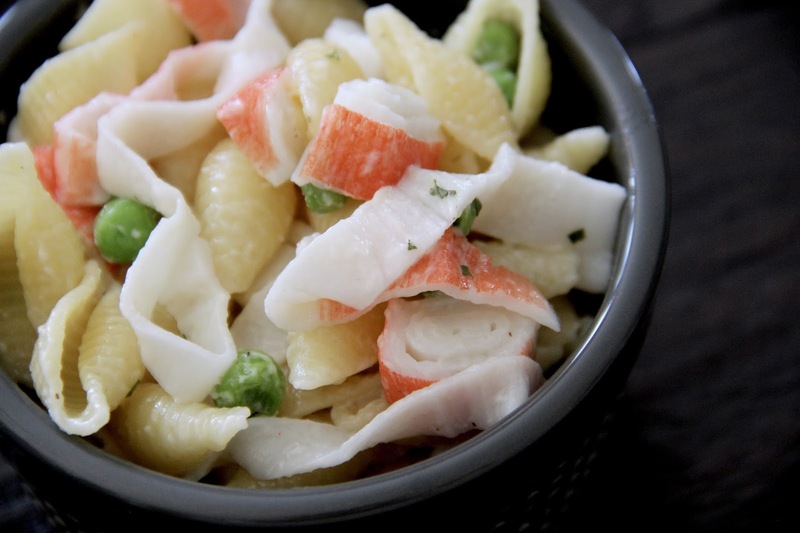 Put the pasta in a bowl and add the mayo, ranch seasoning mix, salt, peas, and crab. Toss until well combined. Serve immediately or store in the fridge and serve cold. Like I said, there are so many things you can tweak about this recipe to make it your own. Add more of or less of the ingredients to get that desired taste! For me, I would add more crab meat, so that's what I'll be changing next time!